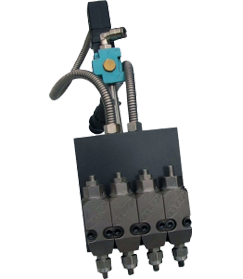 Protek’s Low Profile Hot-Melt Gun Series is supplied with 2, 4 or 6 modules with a 90° nozzle and are suitable for applications requiring particular sizes, such as the manufacture of corrugated packaging. 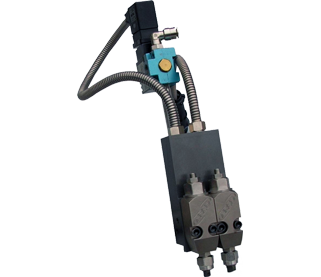 Thanks to the PREO hot-melt guns’ low profile, they can be positioned between the cardboard flaps during the closing operations. The standard configuration provides an AMX 45 module with double interchangeable seal cartridge system, while the gun body is designed using a protective, non-stick coating. 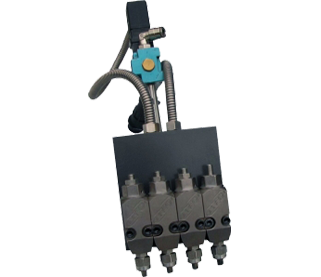 The electric wiring is housed in the gun body for safety as is the stainless steel glue filter which can be removed without disassembling the hose, ensuring the complete absence of impurities during gluing output.